As a youngster I watched people come from all over New England to my Dad for Chiropractic care. As I watched them get better after no one could help them, it made me wonder if this was a path that I wanted to follow. It turned out to be one of the most rewarding decisions of my life. 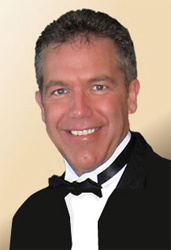 Now, I am entering my 23rd year practicing as a Chiropractor in Amesbury, and I don’t know where the time has gone. It seems like yesterday. Chiropractic is a very strong healing mechanism. I still get excited watching the patients heal and overcome problems that they have faced sometimes for years. Chiropractic helps my family and I enjoy an active lifestyle. Dr. Fowler continues to expand his education with the newest most technologically advanced techniques. My wife Kathy is also a Chiropractor. We have two teenagers who are great kids. We are lucky to be able to spend a lot of family time together. We love the White Mountains, skiing, hiking, and golfing. My wife and I are currently exploring yoga and finding it a better workout for the mind and body. I receive Chiropractic care on a weekly basis. I have always been adjusted and I feel it is a vital part to being healthy. I also strongly believe a proper diet and working out on a regular basis is key to health. My promise to you. If you have a Chiropractic problem, I will tell you. If you could be better served somewhere else, I will tell you that too. Thanks for visiting our site. I look forward to meeting you. 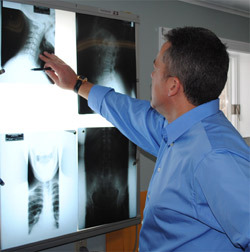 Call our Amesbury chiropractic office today to see if you are a good candidate for today’s modern Chiropractic care.